Kendall Jenner's Pepsi ad that evoked protests like Black Lives Matter to shill soda drew so much scorn it was cancelled less than a day after it debuted. Ouch. But Pepsi is hardly the only brand that hoped to connect with socially conscious consumers and accidentally self-owned. 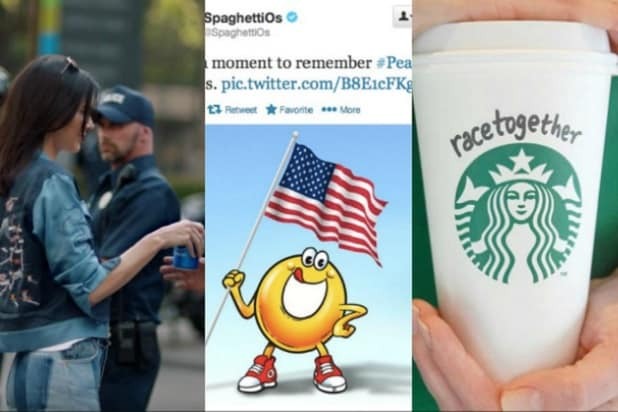 Here are other disastrous #wokefails from recent advertising history. 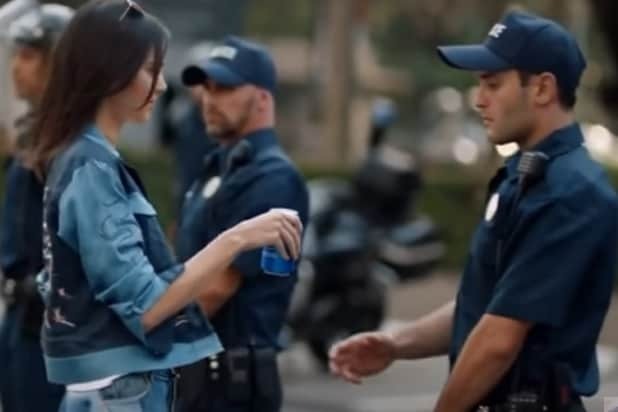 Pepsi makes peace between protesters and policeThe latest in tone-deafness is Pepsi's ad featuring Kendall Jenner. During a nameless protest, Jenner presents a Pepsi to a police officer standing on the sidelines, spontaneously causing peace because... reasons? Obviously, the larger social issues at play in such demonstrations go beyond the cola wars, and Pepsi was forced to apologize for the gaffe. Shoulda stuck with crystal. Watch the ad here. Watch the ad here. 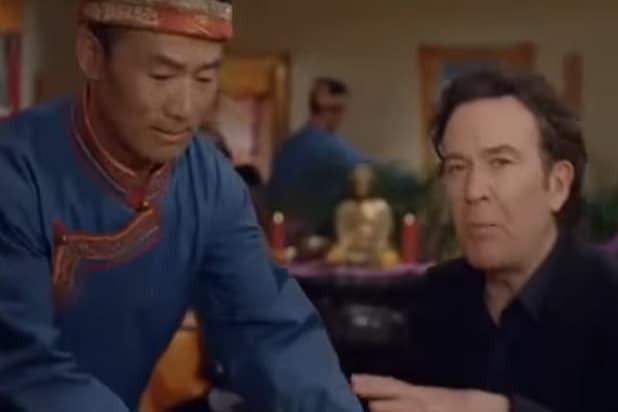 Groupon makes fun of TibetThe issue of Tibet, whose people have struggled for sovereignty from China for decades, is serious stuff to be sure. Which is why Groupon's 2011 Super Bowl ad drawing attention to it with a joke about restaurant discounts was extremely well received. Wait, what's the opposite of well received? That. Groupon ended up issuing a half-apology and the ad is still considered one of the worst-ever. Watch it here. Hyundai thinks suicide is hilariousThis UK Hyundai ad's punchline is that the company's car runs so clean, you can't use it to poison yourself in your garage. It's really funny - honestly - but also oh wait suicide is really serious, depression is no laughing matter, and advertising is not the best format for bleeding edge jokes. Spoiler: Hyundai apologized. Watch the ad here. Starbucks wants baristas to talk about raceIt probably seemed like a good idea at the time -- try to fight racism and open national discussion by encouraging Starbucks baristas to talk about race with their customers. On the other hand, why the hell would you want to ask baristas making barely above minimum wage to force debates that could possibly lead to violence? You wouldn't. That's a terrible idea. Chipotle asks "Homo estas? "Chipotle celebrated marriage equality in 2015 with a rainbow-wrapped burrito. Great! And check out the tagline, it's like "como estas," -- "how are you" in English" - except it says "Homo estas." It caused a stir, among right wingers who resent marriage equality and those who noted "Homo" is often a slur against LGBTs. Lucky for Chipotle this one went over pretty well with its intended audience overall - and you can still buy t-shirts here. Buy video game shoes to honor MLK DayVideo game publisher 2K Games celebrated Martin Luther King Jr. with a chance for players of its NBA 2K basketball series to purchase in-game shoes. Maybe the most tone-deaf part, other than using the holiday to sell digital shoes at a discount, is the inclusion of a King quote that has nothing to do with anything. The cartoon SpaghettiO remembers Pearl HarborDays of national significance are a bit strange for brands. Social media teams are often thinking that they ought to acknowledge tragedies and the like in order to show compassion to others. No matter the intentions, though, it always comes off like a crass cash grab, as it did when Campbell Soup Company's SpaghettiOs mascot joined the national conversation about remembering Pearl Harbor. DiGiorno hitches pizza to domestic violence hashtagAnother social media snafu. Frozen pizza maker DiGiorno noticed the #WhyIStayed hashtag trending on Twitter and seemingly didn't look up what it was about. So it used the hashtag to shill pizza. Yeah, actually the hashtag was a collection of domestic violence survivor stories. The backlash was pretty swift, as one might expect. Bisquick equates America's future to breakfastAs the 2016 presidential campaign got nasty, Bisquick decided it wanted in on the action. It staged a joke election between waffles and pancakes for social media. Bisquick's campaign wasn't the most socially conscious, but given a campaign season that included chants of "lock her up" and protesters getting assaulted at rallies, its cutesy debate was well out of step with reality. Victoria Secret's "perfect bodies" are nearly identicalWhen Victoria Secret wanted to advertise options in women's underwear, it used language suggesting a variety of body types. But in its ad, the company cast only thin models of about the same weight and height. Given advertising's long history with pushing unattainable body image ideals that are known to be harmful, the backlash among women was pretty stark, and a lot more varied than Victoria Secret's models. Secret Deodorant doesn't really "get" wage gapsScoring high in the "missing the point" category is this Secret Deodorant ad. It features a woman psyching herself up to ask a male boss for a raise, and even implies that she makes less than a male colleague with less experience. The tagline "doing her part to close the wage gap" seals the blunder, suggesting that it's women not asking for raises, and not decades of systemic issues and sexism, that leads them to earn less than their male counterparts. Watch the ad here. Pepsi makes a joke of Indian students' hunger strike Pepsi really has a knack for this, it seems. In the ad, student protesters are engaging in a hunger strike to force college administrators to change their policies, until one protester spots a Pepsi. He blows the whole thing because he can't resist the delicious beverage. The trouble is, the ad mocked real protests by Film and Television Institute of India students in 2015. Watch the ad here.